GCG Ground Services has been tasked with the new unique opportunity to secure the operations for LIAT Airlines. 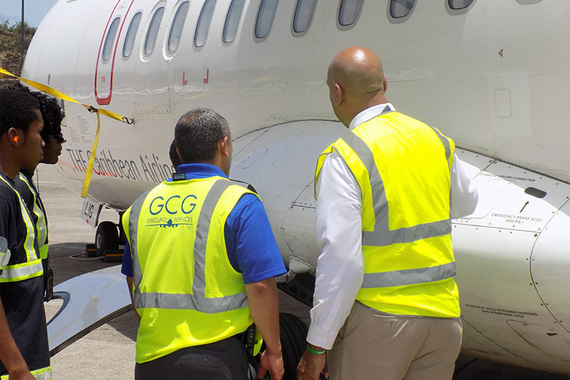 LIAT Airlines had been absent from St. Thomas for some time and chose to return with GCG Ground Services to provide security service for all operational tasks done. A select group of agents was assembled to attend a three-part training in which they were equipped with the knowledge they needed to get the job done. GCG Ground Services was on the ground for the landing of the first LIAT Flight to land on Cyril E. King Airport in several months. The security detail led by Mr. Kerry Rhymer the Safety Coordinator and Jose Bultes, the Operations Manager watched keenly as excited passengers poured out of the aircraft and onto the red carpet. 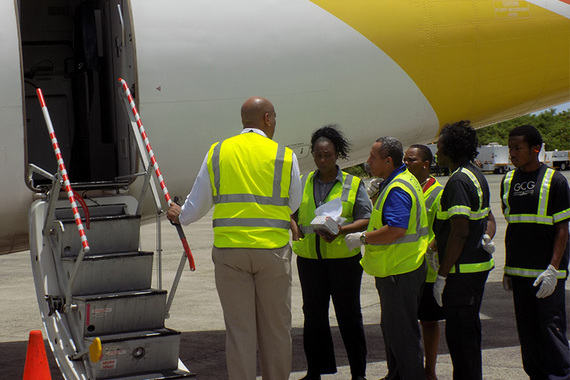 GCG Ground Services remains confident and up to the challenge of ensuring the safety of LIAT's Flights.